WordPress is the leading Content Managing System (CMS) by far commanding over 50% of the market share. Its popularity is driven by a number of benefits which it offers to the user compared to its leading competitors like Drupal and Joomla. 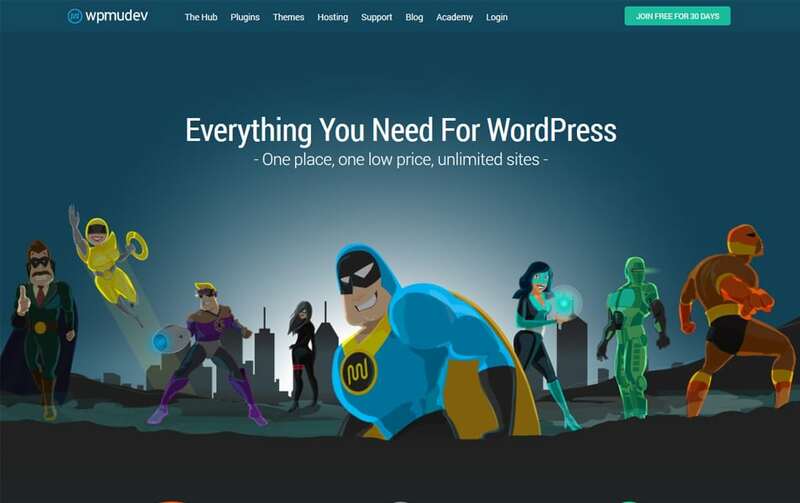 The advantages provided by WordPress include the ease of use, mobile responsiveness, its versatility, the huge community who provide support and the numerous templates offered. The biggest attraction, however, is its ease of installation and use. You do not need to be a developer or proficient in coding to download and install the CMS or make a couple of tweaks to it. With so many people looking to take advantage of what this platform offers, the need for information is high. Thankfully, the existing community of WordPress developers and users is always there to help. From this community emerge numerous tutorials on just about everything you need to know about the CMS. The challenge is finding a comprehensive tutorial that will provide the information you need in a clear and easy to understand manner. I was in a similar situation a couple of years back and it can be easily exhausting. Spending almost an hour scouring the internet for correct information about installing a plugin was not what I had anticipated. If you are a developer or are looking to learn more about WordPress on a regular basis, then you want a resource that is both comprehensive and regularly updated with fresh content. The present situation is way better thanks to many parties now providing tutorials on different subjects. This new competition has inspired more quality tutorials. To save you from checking out just about every other site or resource claiming to offer the best information, I have compiled the best 15 resources you can rely on. Some, are specifically targetted for beginners while others suit advanced developers best. However, users at both levels will find many of the tutorials beneficial to their needs. 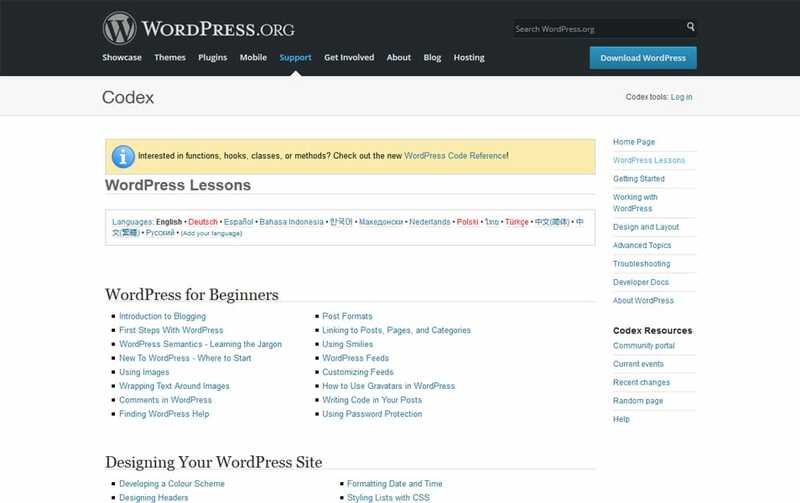 The WordPress Lessons is an easily overlooked resource when it comes to seeking tutorials on how to proceed with WordPress. Personally, it is a resource I bumped into when going through the WordPress Codex and I regretted my earlier net scouring efforts. It covers every single aspect of WordPress making it a crucial resource both for beginners and advanced users of the CMS. The beginner’s sections are specifically appealing for its simple yet comprehensive breakdown of all WordPress features. It is also current and a good place to know any new changes you can use. A good number of times, WordPress Lessons may be the only resource you ever need. If you are not familiar with it, this should be the first place you visit. If you are looking for extra perspective then you will appreciate the work done by the guys at WPMU Dev. This is a website to work with if you are looking to make the step up from a WordPress beginner to an expert. While they cater to all audiences, many of their tutorials cover areas the intermediate user will be looking for. Some of the topics covered range from how to add Google Analytics on your site, and how to add widgets to any template, to creating responsive images on your WordPress Website. Here is another site for the beginner seeking to advance his or her WordPress skills. Tutorials are published every month which allows them to be comprehensive on all the steps to be followed. There is also a good number of technical topics handled so the advanced user can also benefit by visiting the site. WP HUB is a great site for anyone seeking to know what options they have when it comes to website configuring and managing options. It also handles topics on website responsiveness and database management, hosting and plugins meaning you have a wide range of tutorials to learn from. This is the website to go to if you are looking for information and resources on WordPress website design. Aside from being a source of some great free themes, you also get tutorials provided at least every month. The content on Smashing Magazine is largely for advanced users already familiar with the workings of the WordPress platform and who are looking for more options to style and tweak their sites. 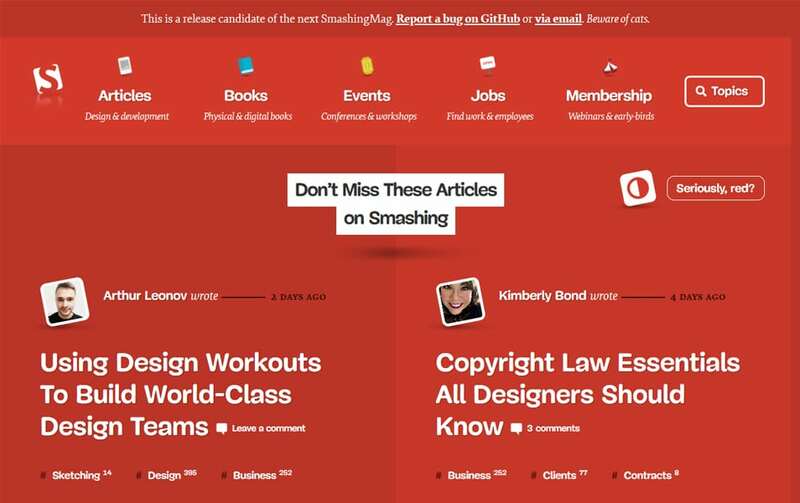 Smashing Magazine content here ranges from security tweaks and WordPress hacks to coding techniques and plugin management among others. It is also a great site to get general tips and tricks to use while working on WordPress. Siteground’s main business is web hosting. However, it has a section for WordPress services which offers plenty of resources for someone looking to start on the CMS. I particularly like how their tutorials are written in the form of ‘how to’ and their simple yet detailed structure. 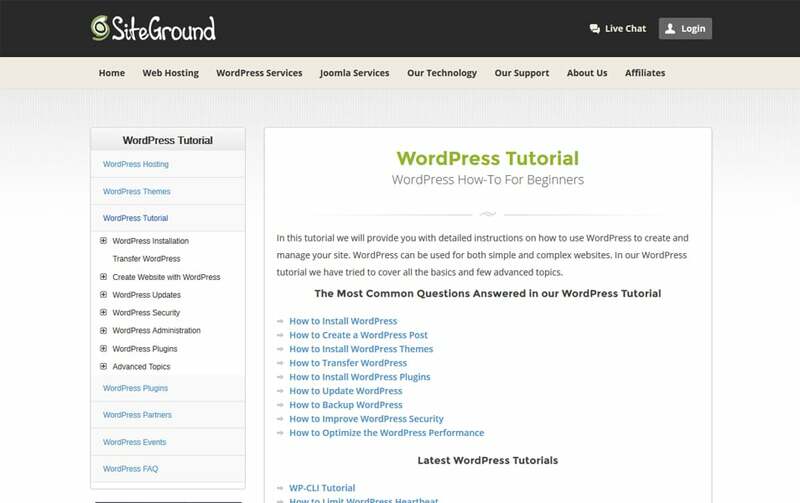 The tutorials cover everything a beginner will want to know about WordPress, addressing the many issues which you encounter during your early times on the platform. As a bonus, you can use their exciting free WordPress themes. Even with the development and popularity of page builders like Visual Composer, there is still a demand for custom built WP-themes. Besides, for many web designers, it is an art form and offers the advantage of building a theme from scratch factoring in the performance and usability you want to achieve. 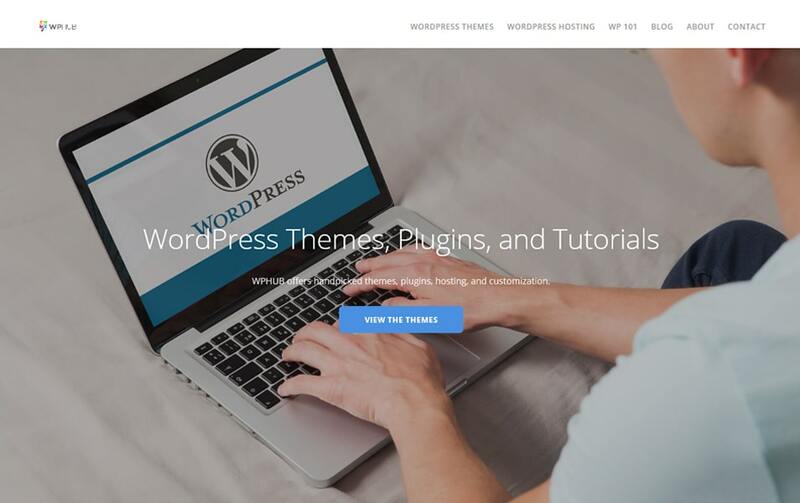 This creates a demand for WordPress tutorials covering how to create themes. There are many aspects to cover when it comes to creating a theme so one tutorial may not comprehensively cover your concern unless it is specifically addressed to the issue. Here are the best five I have sampled over time. It is hard to find a theme tutorial that covers just about every step of the process. Whether you are concerned about design patterns or aspects about user experience, this tutorial covers it all. It is written in clear and simple language with several screenshots to guide you along. It is ideal when you already have an idea of on theme designing but you are looking for guidance on how to go about styling the theme to your requirements. Creators of WordPress themes understand the challenges that come with code repetition. It not only hampers your site’s performance but also brings about inefficiency during both the creating and future editing process. That is why Rachel McCollin’s tutorial on how to create a DRY WordPress theme is a must read. Website responsiveness on mobile platforms has become an important aspect of not just the performance of websites but also as an SEO factor. The Bootstrap framework helps solve many of these challenges offering a seamless front-end experience. This tutorial covers all you need to know about developing a WordPress theme on the Bootstrap framework which also enables you cut down the duration taken to create a theme. Corporate WordPress themes are one of the most sought after themes, a clear indication of how businesses are appreciating the user experience WordPress offers. Creating a corporate theme has its fair of challenges especially when it comes to getting a flexible theme. The two-part tutorial offers insight on how you can navigate the challenges and handle individual pages. It shows you step by step how you can achieve the functional and aesthetic goals of a corporate theme. Not everyone enjoys having to go through endless text especially if it also includes reading of code scripts. A video also has the advantage of practicality and it is especially convenient when you are tired or short of time. It may not be the first place you think of going but not doing so denies you a great deal of information. So here are the best YouTube channels you can rely on for your WordPress tutorials. This is one of the most popular WordPress YouTube Channels both by subscriber numbers and views on each video. Tyler Moore creates in-depth and detailed tutorials on a wide range of subjects from beginners’ stuff to advanced topics. His full-length tutorials can pass the one hour mark as he points out each step creating a complete. There are shorter videos though for quick fixes and hacks whenever you are stuck or you need to pilish up a specific area. This is the video platform for the WP Beginner website. Hence, most of the videos here will be supporting existing text which creates a great comprehensive tutorial. The videos come in handy when you want a demonstration of different steps. Still, they are concise enough to address most topics on their own. The topics overed range from the basics to advanced WordPress subjects. If you are looking for a regular and all-round coverage of WordPress aspects, then this is the channel to subscribe to. They deliver new videos every Wednesday covering a whole range of topics from development, design, SEO, and reviews. Their tutorials are easy to follow as expected while the content is for the general WordPress community. This is another channel that mixes both in-depth tutorials with short but still concise videos to address various WordPress issues. It uses a ‘how to’ approach making just about every video here a tutorial. It is a good place to go if you are looking for help on a specific element of designing on WordPress. Ferdy Korpershoek largely deals with intermediate and advanced level topics but there is plenty of beginner material in here too. Its WordPress content is also geared mostly towards the elements of running a WordPress site. The range of information provided and the inclusion of general topics about doing business online makes this channel a great resource to come to. The videos are in-depth and with no fluff, just straightforward guidelines. WordPress continues to prove that it is the best CMS to work on and more people are choosing to use it. To make the most of the platform, you need to understand every little aspect even if you are not a developer. Luckily, various tutorials address this challenge making it easier for everyone regardless of skill to comprehend and work on the platform. These fifteen tutorials are among the best out there and at the very least should get you started on your WordPress journey, help you advance a skill or learn a new hack. I have chosen sources that have a wide range of topics and comprehensive information. This means you can always go back to them for other topics. Try them out and let me know your experience in the comment. If you know of another source not listed here, feel free to share with us and I will check it out too. Over the many years we've been in operation, TK2 Academy has built a solid reputation for itself in the tech space teaching inquisitive minds the latest in technology development.